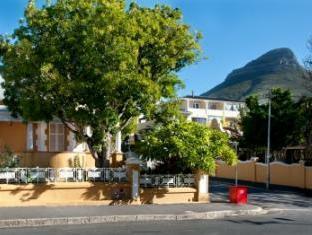 ﻿ Ashanti Gardens Guesthouse Cape Town. JIMAT di Agoda.com! Direka untuk kedua-dua tujuan perniagaan dan percutian, Ashanti Gardens Guesthouse terletak di lokasi strategik di Gardens; salah satu kawasan yang paling popular di bandar tersebut. Hanya 1. Km dari pusat bandar, lokasi strategik hotel memastikan tetamu boleh ke mana-mana sahaja dengan cepat dan mudah ke tempat-tempat tarikan. Untuk pilihan bersiar-siar dan tempat daya tarikan tempatan, pelancong tidak perlu pergi jauh dari hotel kerana ianya berdekatan dengan Spa Librisa, Rumah Bertram, Mediclinic Cape Town. Semua penginapan bagi tetamu menawarkan kemudahan yang difikirkan dengan teliti bagi memastikan rasa selesa yang sukar ditandingi. Senarai lengkap kemudahan rekreasi boleh didapati di hotel, termasuk taman. Temui gabungan yang menarik antara perkhidmatan profesional dan pelbagai kemudahan yang ada di Ashanti Gardens Guesthouse. No problems. All we needed as a place of operations for part of our Cape Town adventure. The security doors were annoying. The place was quiet and clean. Breakfast was available at the Ashanti Backpackers (a short walk away). Good quality restaurants were within walking distance. One could walk into the CBD of Cape Town and we found that the 'Hop On and Hop Off' Blue route had a convenient bus stop. The airport shuttle was efficient. Quiet house away from busy backpackers hostel. Able to use pool & cafe. Helpful staff. A very enjoyable experience. Would use again. The guesthouse is in the next street away from the main pack packers hostel. It is quiet & very comfortable. It was fine but the staff at reception are in the wrong profession. This is our second stay at Ashanti and we loved this guesthouse even more than the other one. we truly enjoyed Ashanti for the no-fuss sense of extended home-stay scenario. Will def stay there again! Our double ensuite was in a lovely historical house at Union St, about 50m from the main backpackers lodge. It was spacious and had a beautiful old stained-glass door and fireplace. Don't think all the rooms are the same tho. Close to Kloof St with lots of cafes, restaurants and other amenities, also within walking distance to the main drag on Long St. The staff at the main backpackers were very helpful and there is also a travel centre there if you want to book tours, etc. but everything in Cape Town is easy to do on your own. Nous étions au Ghesthouse ashanti 1 dont l'acceuil se situe à l'auberge de jeunesse, ce qui limite très vite le contact. Pour ainsi dire nous étions seuls au guesthouse. La nuit s'est très bien déroulée avec une chambre propre et très confortable par contre pas de séparation entre la chambre et le coin toilette/sdb.